During his presidency, Bill Clinton lost the confirmation codes necessary to launch nuclear weapons, two high-ranking retired military officials revealed in their memoirs. In the book, he recalls the bone-chilling situation, ABC News reported. The codes are kept on a small plastic card that the president always keeps with him. The card is dubbed the “biscuit” and serves to prove that authorization for a nuclear strike indeed comes from the president. Shelton said no one has ever revealed that Clinton lost the biscuit. But retired Air Force Lt. Col. Robert Patterson recalled a similar episode in his book published seven years ago. 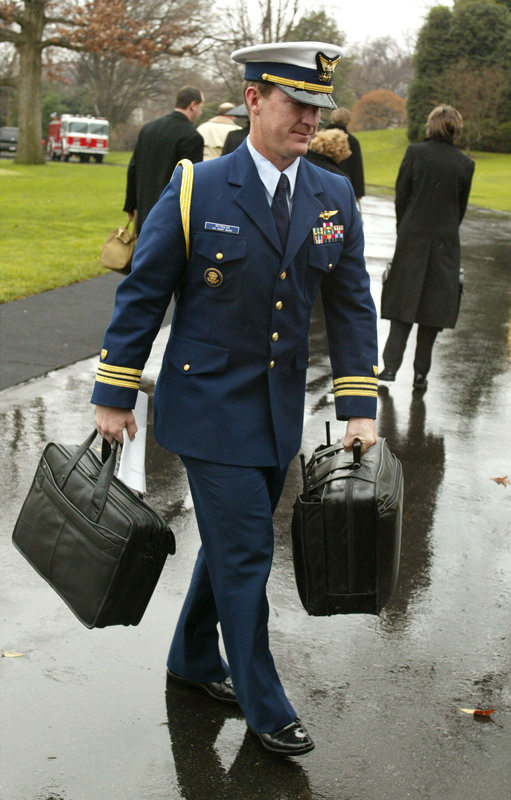 Patterson was one of the men who carried the “nuclear football,” a briefcase containing the launch codes and instructions for nuclear retaliation. The football is carried by a military aide with the highest background clearance and who accompanies the president at all times. Patterson said that the morning after the Monica Lewinsky scandal broke he requested the president present the card so that he could swap it out for an updated version, which is a standard procedure. In Patterson’s book, Clinton lost the biscuit in 1998, but that differs from Shelton’s account, who placed the event in 2000. 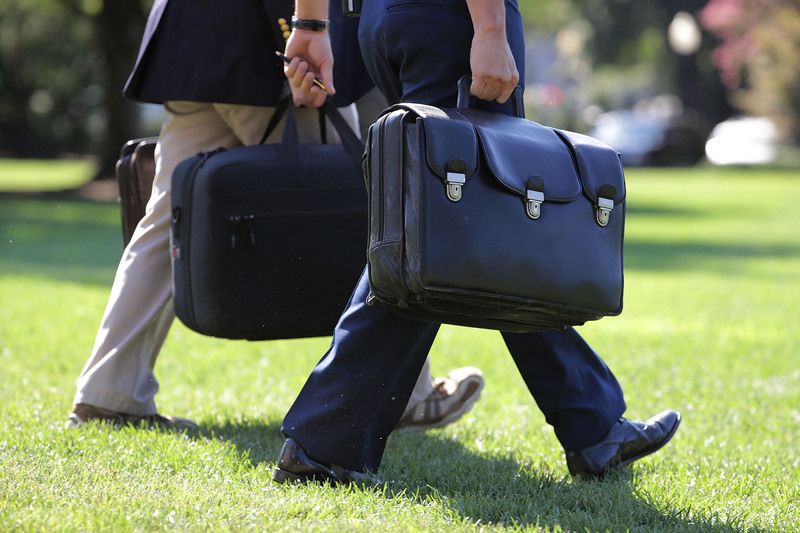 The nuclear football dates back to the time of President Dwight D. Eisenhower and has gone through its share of mishaps. President George H. W. Bush reportedly took off after a tennis match without his football-carrying aide. The aide, with assistance from Secret Service agents, caught up with the president some 15 minutes later. Bill Clinton made a similar blunder in 1999 when he left a NATO summit meeting leaving the football behind. 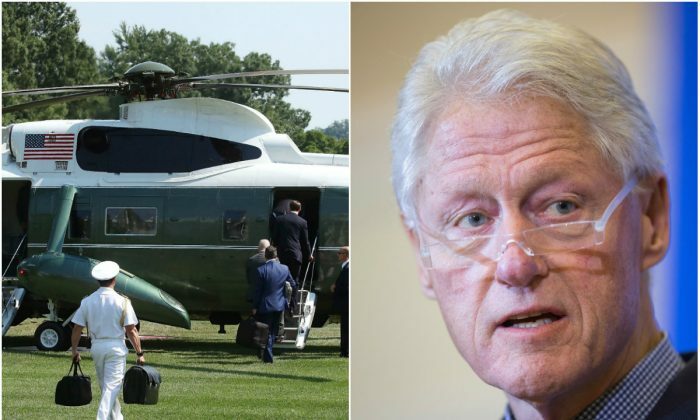 Fortunately, the summit was held at the Reagan building and Clinton sped away toward the White House, so the aide simply walked the half-mile between the two buildings to catch up with the head of the free world, BBC reported. Clinton was also not the only president who allegedly got separated from the biscuit. President Jimmy Carter allegedly sent it with his coat to the dry cleaners, although that story was never confirmed. And Ronald Reagan was separated from the biscuit after he was shot during the attempt on his life. Reagan carried the codes in a small pocket in his coat and the emergency room personnel had to cut off his clothes. It was allegedly found in his shoe on the emergency room floor.